A higher incidence of chronic diseases worldwide and the demand for advanced medication adherence systems are fueling growth in this market, which has the potential to surpass $3.9 billion by 2021. A new study by BCC Research examines the industry’s prospects and technologies by disease applications and geographical regions. The global market for medication adherence systems and software applications was worth $1.7 billion in 2016, more than half of which was accounted for by the United States. According to BCC Research’s forecast, the industry is poised to expand by 18.0% from 2016 to 2021. Market growth is due to the growing geriatric population, continuous technological advancements (e.g., digital health, smart medication adherence systems, smart pills, etc. ), increasing adoption of smartphones and software applications, transformation of the retail pharmacy industry and other healthcare reforms. Medication adherence systems, which comprised 80% of the global market in 2016, will increase by 16.8% over the forecast period. Software applications (the remaining 20%) will grow by 22.5%. Geographically, the United States is expected to maintain dominance in this industry. By 2021, the Europe, Asia, and ROW (rest of the world) markets are predicted to reach $1.2 billion, $555.0 million, and $79.0 million, respectively, with five-year growth rates of 18.0%, 19.8%, and 17.7%. In terms of chronic illnesses, cardiovascular disease and diabetes lead the global medication adherence market, with anticipated growth rates of 18.0% and 20.0%, respectively. 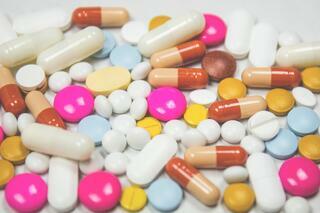 On November 13, the FDA approved the first digital pill. The medication is embedded with a sensor that can tell doctors whether patients take their medicine. Millions of patients do not take drugs as prescribed. Experts estimate that nonadherence to medication costs approximately $100 billion per year. Patients who agree to take the digital medication, which is a version of the antipsychotic Abilify, can sign consent forms allowing their doctors and up to four other people to receive electronic data showing the date and time pills are ingested. A smartphone app will let them block recipients if they change their mind. Although voluntary, the technology is still likely to prompt questions about privacy and whether patients might feel pressure to take medication in a form their doctors can monitor. Smart pills such as Ability MyCite have the potential to greatly improve medication adherence, measure the effects of medications in real time, and save lives as well as billions of dollars in unnecessary hospitalizations and medical bills. Yet there are some key restraints to growth of the global medication adherence market. These include privacy and security issues associated with cloud-based medication adherence systems and software applications; issues of data inconsistency and poor accuracy; and the requirements of a strong healthcare IT network, 4G internet connectivity and adequate healthcare services to offer complete solutions. For more research and market forecasts, download the report overview for Medication Adherence: Systems, Technologies and Global Markets (PHM182A).